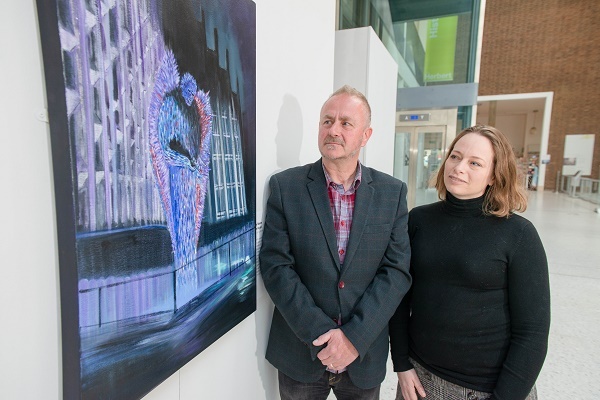 A painting, inspired by the arrival of the Knife Angel sculpture in Coventry, has gone on display at a city gallery. The UK City of Culture programme in 2021 could be coming to a street near you. Do you have experience of cancer, heart or lung diseases, mental health or any ongoing health condition such as diabetes or arthritis? We all want to improve air quality in the city, that’s why the Council has submitted an Outline Action Plan to the Government. 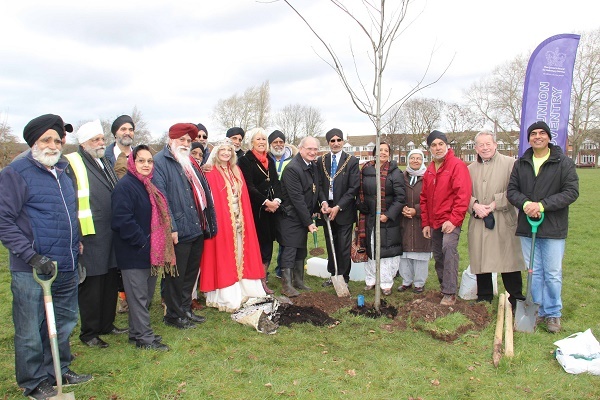 A tree planting ceremony took place at Longford Park, Longford on Thursday 14 March. 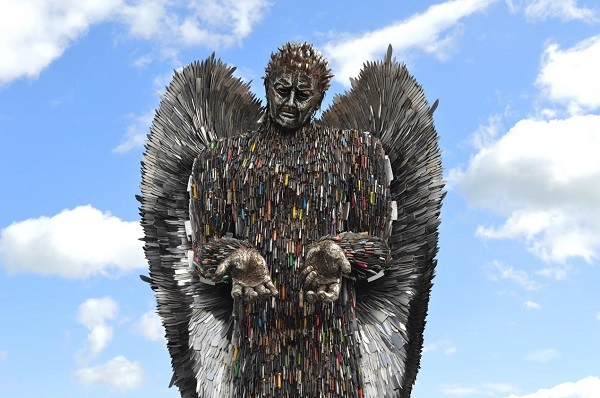 A huge Knife Angel sculpture, made of 100,000 confiscated knives, has arrived in Coventry. 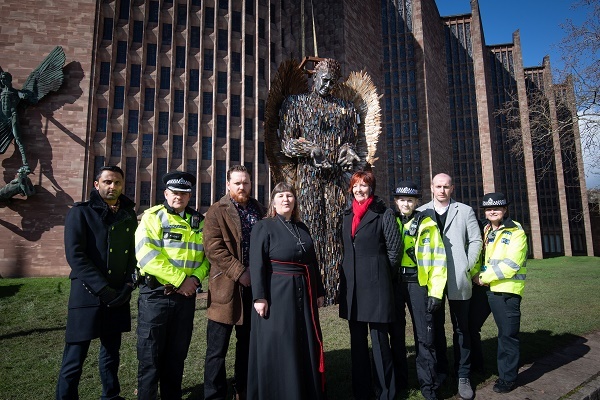 A huge sculpture, made of 100,000 confiscated knives, arrives in Coventry on Thursday (March 14) as the city comes together to tackle knife crime. 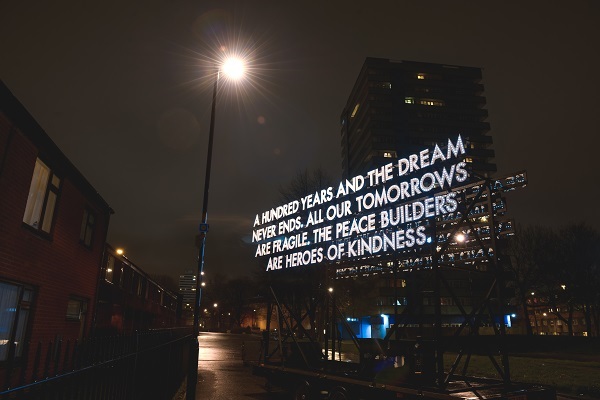 Spirit today announces an award of £200,000 to the Coventry City of Culture Trust. A sculpture created from confiscated knives used to commit crimes is to go on display outside Coventry Cathedral. The City of Culture Trust is today launching its first major campaign since Coventry won the title UK City of Culture 2021. Coventry Winter Night Shelter (CWNS) will be reopening on 1 December, with registrations now being taken. Coventry City Council is seeking partners to help deliver an innovative programme aimed at preventing young people from getting involved in violent offending. 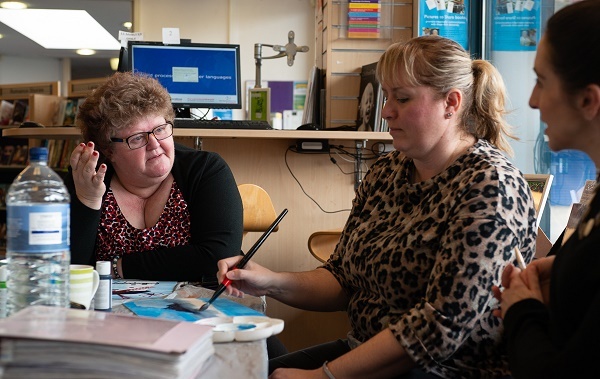 The life-changing work of The Pod is being highlighted on social media as part of a Local Government Association campaign to call for better funding for Adult Social Care. 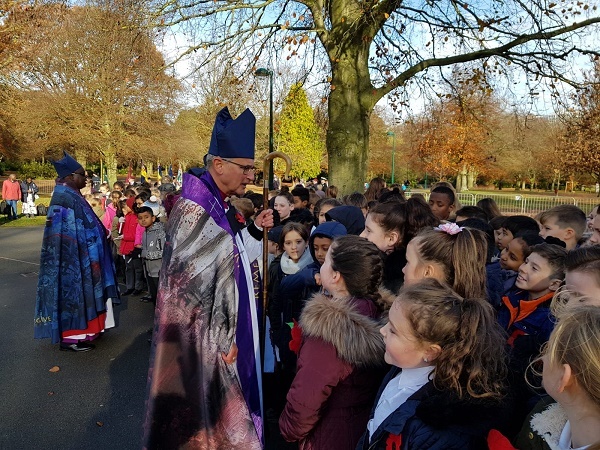 Dozens of pupils from city schools have been helping to mark the centenary of the end of the First World War in which the children of Coventry held their own service of remembrance. 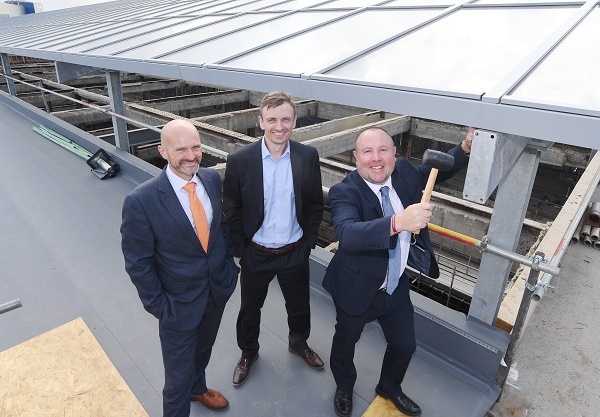 Coventry residents and their neighbouring businesses are a step closer to accessing next-generation full fibre connectivity for the very first time. 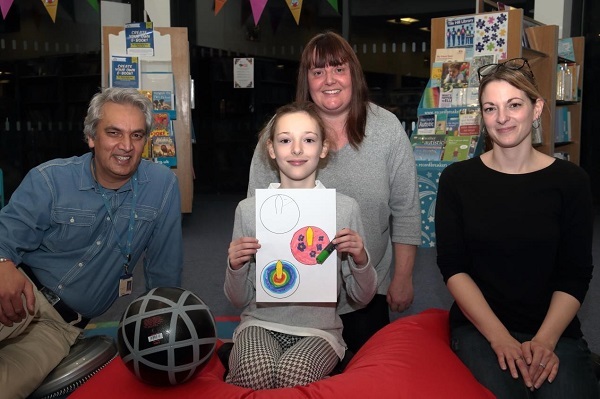 Families with autistic children can benefit from weekly activity sessions and an autism friendly environment, at Tile Hill library. Coventry City Council has once again made a number of recycled laptops available for distribution to community groups and voluntary sector organisations across the city. 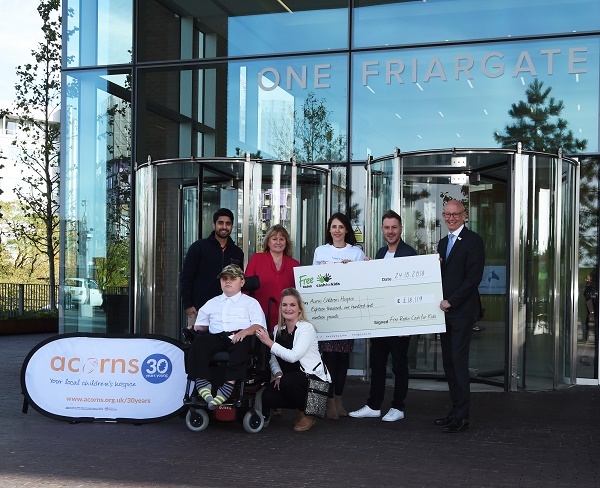 Cash for Kids, the charity of radio station Free Radio, has handed over a cheque for £18,119 to Acorns Children’s Hospice. Two silhouette First World War soldiers now grace Greyfriars Green as a reminder of the sacrifice made by so many and a tribute to mark the 100th anniversary of the Armistice. Work has started (5 November) on replacing bollards in Coventry city centre’s main square. 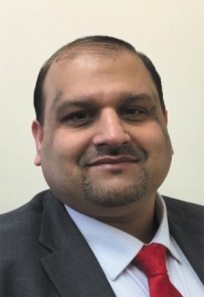 Representatives from the public, private and the voluntary sector met yesterday (Wednesday 24 October) to set out plans to encourage integration of newly arrived communities in Coventry. More than a 100 people joined together this week in Coventry to look at the threat from terrorism and how to make local people more resilient to extremism. The Leader of Coventry City Council has called on the owners of the Sky Blues to end their campaign of legal action. 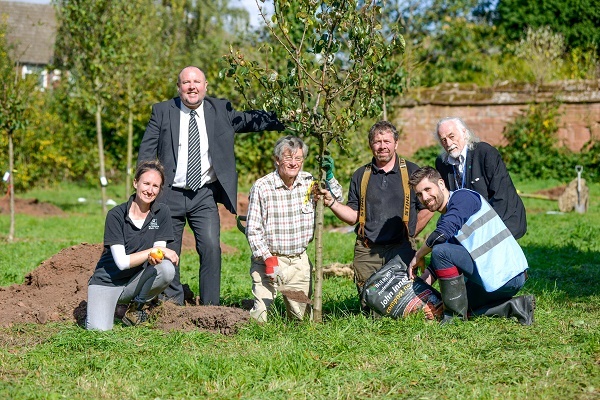 Dozens of primary school children and volunteers have planted trees to create a community orchard in the gardens of one of Coventry’s finest medieval buildings. 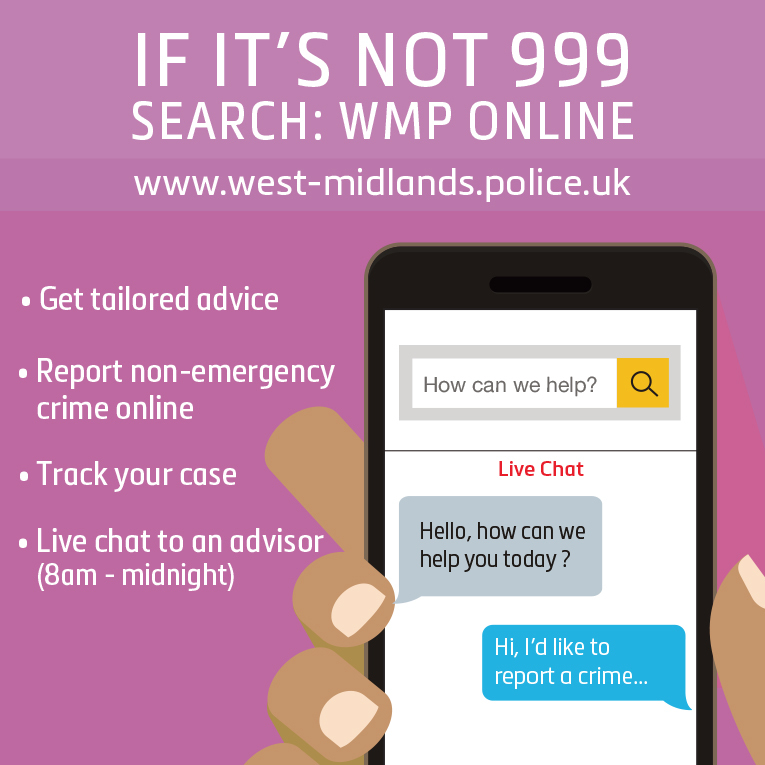 ​​​​Coventry Youth Offending Services are looking for volunteers to help young people who have committed crime to make positive changes to their lives and prevent further offending. HRH The Prince of Wales turns 70 in November, and to celebrate, the Lord Mayor of Coventry is organising a special event– for all those doing the same. Organisers of Tokyo 2020 have been getting some tips on Olympics expertise from the Coventry Ambassadors. Samaritans volunteers and Coventry City Council staff are running a roadshow on Saturday 15 September. 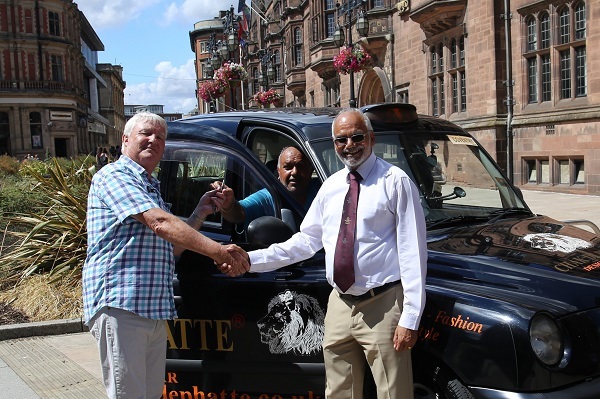 Chris Discombe has finally switched off the meter after an incredible 45 year career as a black cab driver in Coventry. 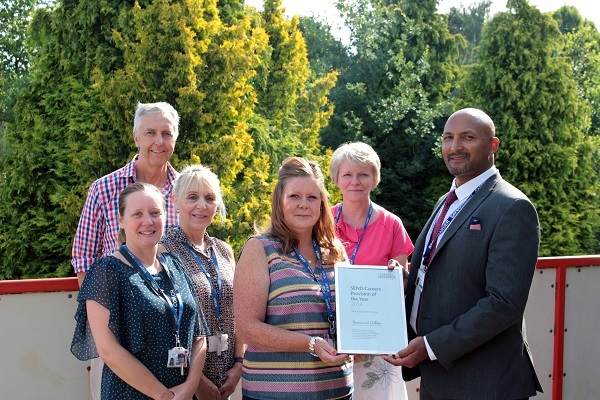 Hereward College in Coventry has been recognised for its work supporting careers education and helping young people into the world of work. Coventry could be in for a multi-million pound windfall as it reaps the benefits of new superfast broadband. A Public Space Protection Order that aims to curb the behaviour of irresponsible dog owners in Coventry is working well – and it is likely to be renewed for a further three years. 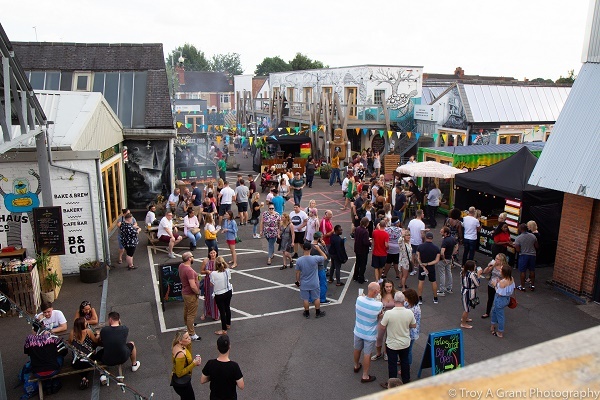 The Council will be able to earmark £4.75m to put towards the City of Culture activities in 2021 after it announced its end of year financial position for 2017/18. The early success at Coventry’s most ambitious mixed-used, city centre development should give a confidence boost to the city. 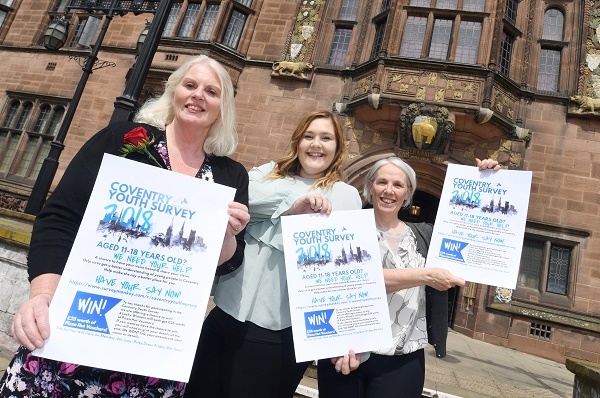 Young people from across Coventry have been invited to have their say on the city and their own wellbeing in a new survey. A clean up of Spon Street subway will take place next Tuesday 29 May with drinks and snacks provided for all who help out. Coventry’s new £36.7million city centre waterpark will be making its latest splash as the venue’s thrill-ride slides arrive this week. The West Midlands Combined Authority has today (Fri 11 May) formally launched its bid to bring Channel 4 (C4) to the region. 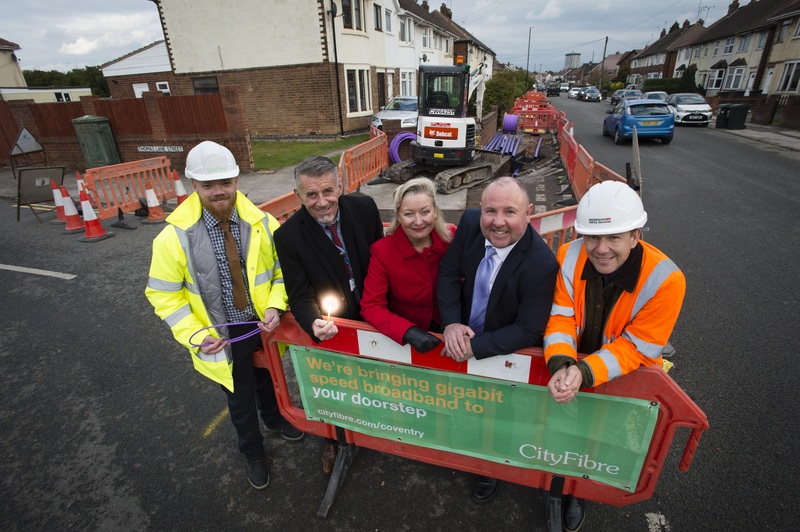 CityFibre to invest £60 million in full fibre infrastructure for Coventry in partnership with Vodafone. Lord Mayor Cllr Tony Skipper hosted the stars and backroom staff of Coventry Rugby Football Club to congratulate them on their title winning season. Coventry will join towns and cities around the UK to celebrate Armed Forces Day in June and say ‘thank-you’ to those who serve. 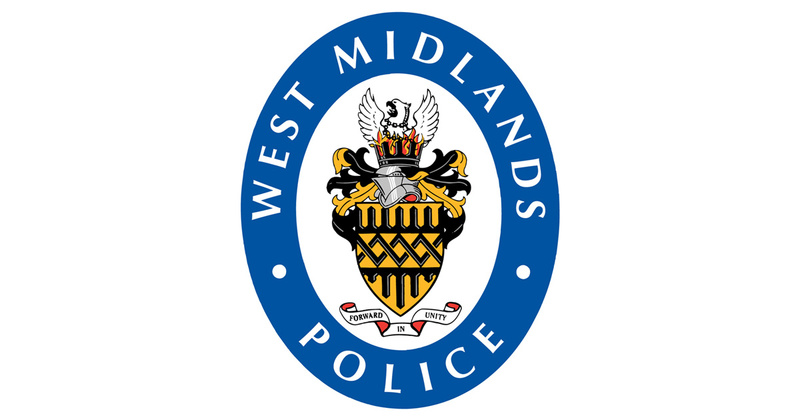 Yesterday West Midlands Police opened their doors to new volunteer police officers. 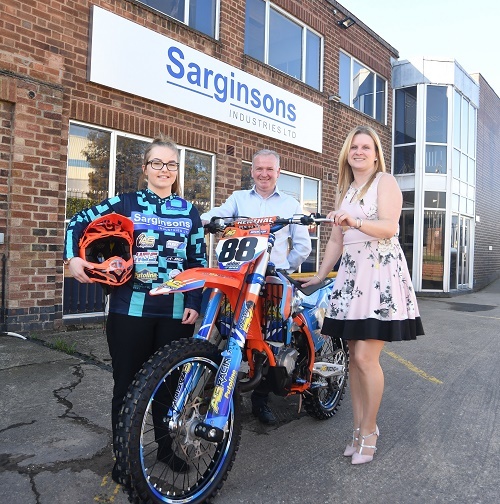 A teenage motocross competitor from Coventry is looking to get off to a flying start in a major girls tournament when she travels to Scotland this month – and has had a little help from her employer.